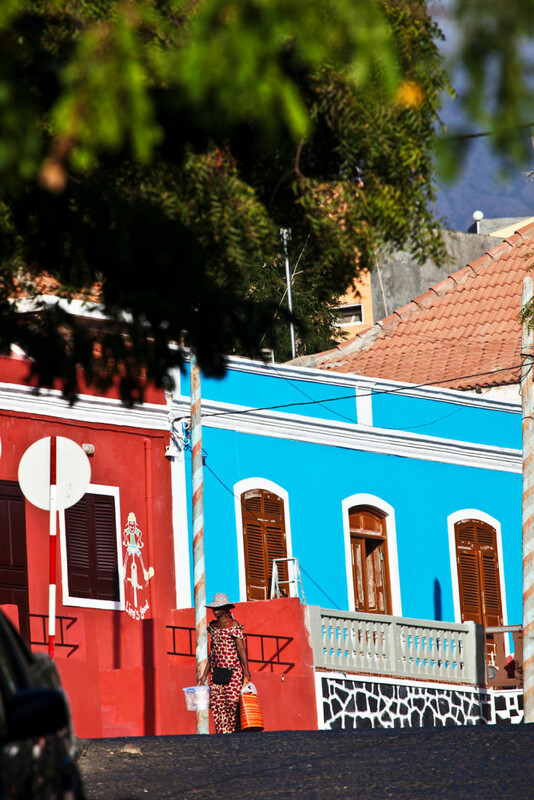 Colourful buildings adorn São Vicente. 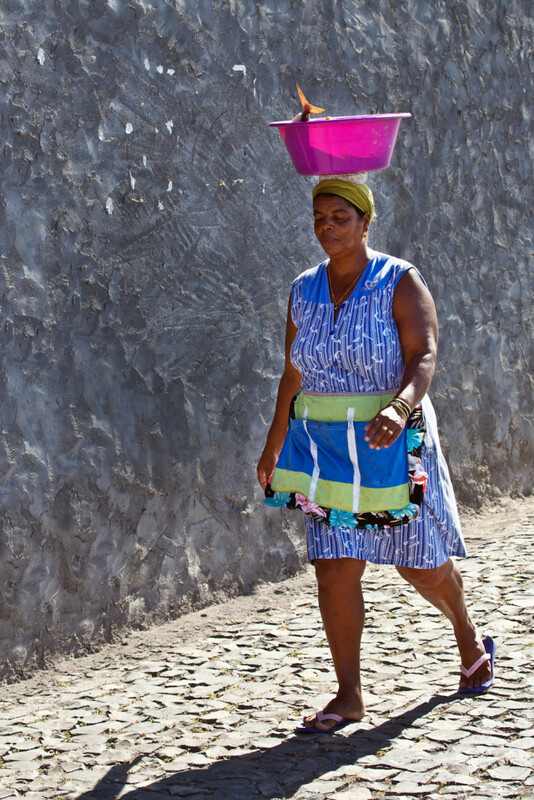 Simple pleasures on the charming streets of the island of Maio. 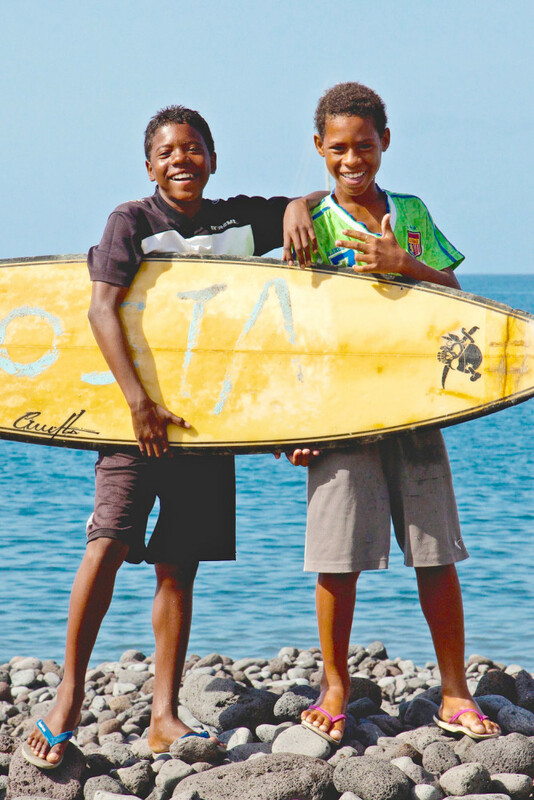 Caboverdean boys with surfboard on Tarrafal harbour. The archipelago’s prehistoric Dragon tree. 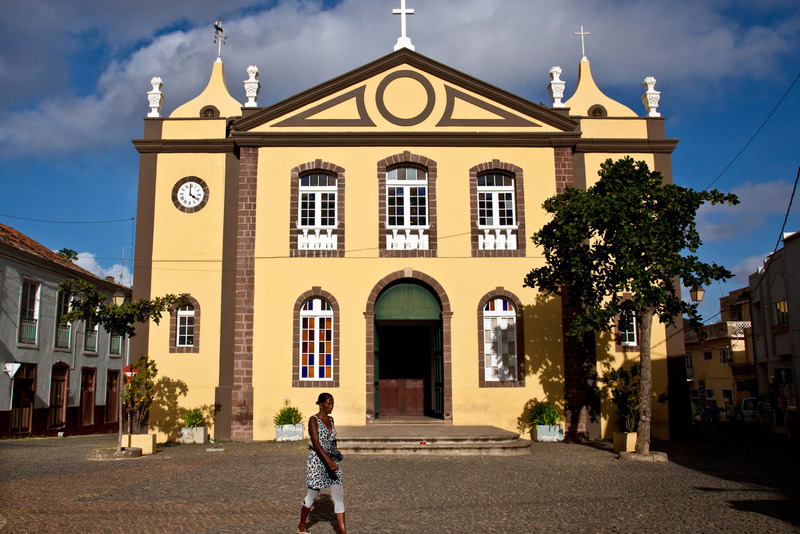 One of the many churches you’ll find in Cape Verde, this one on São Nicolau. 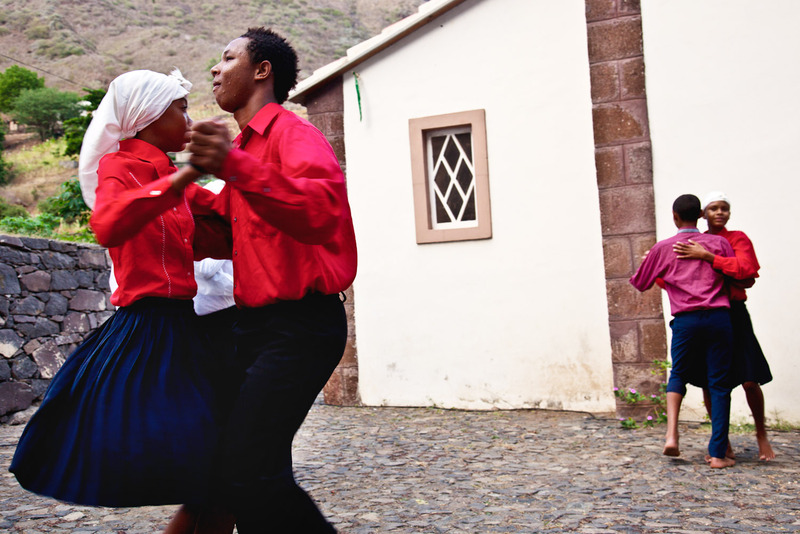 Traditional mazurka dancing in Queimadas, São Nicolau. 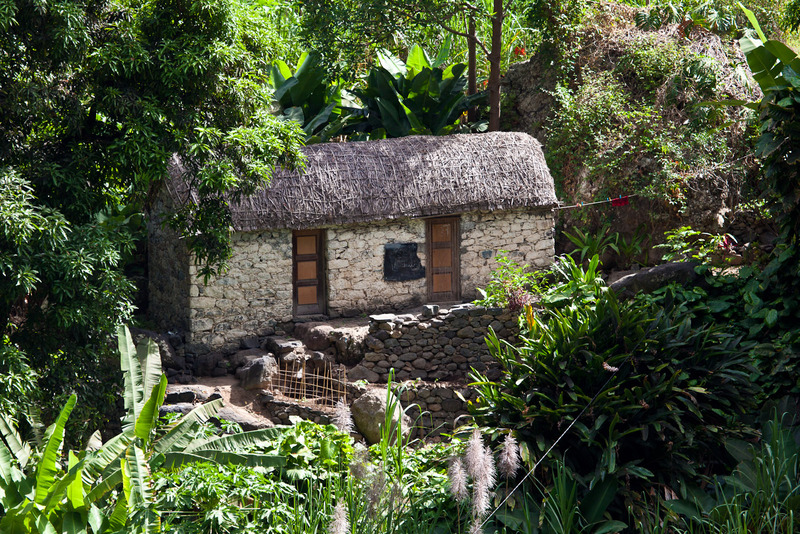 A typical Cabo Verdean stone cottage that make up the villages here. 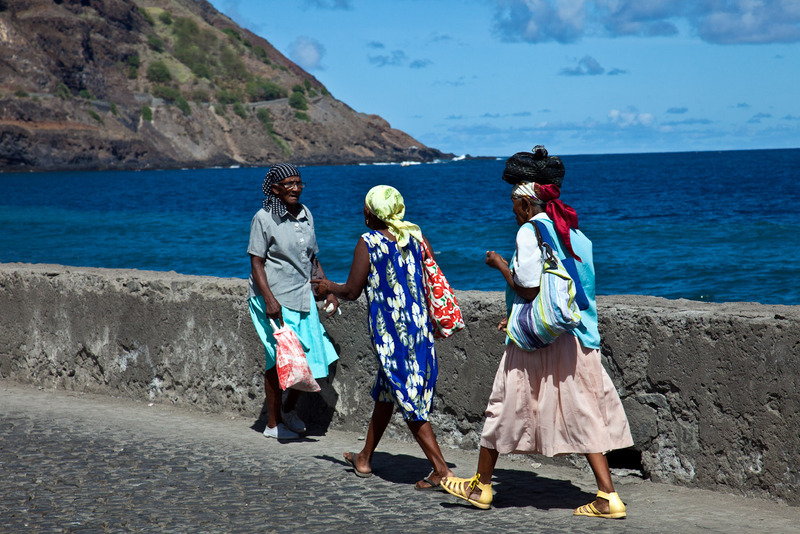 Daily life on the coast of São Nicolau. The hillside village of Santo Antão. Bringing home the dinner on Santo Antão. The dramatic volcanic landscape around Pico do Fogo. Life on Fogo takes place in the shadow of the volcano, which rises to 3000 metres. Music and exile are etched deep in the ways of the remote Cape Verde archipelago, Europe’s first settlement anywhere in the tropics. Words and photography by John Borthwick. The sails bloom white against an almost ultra-violet sky as our passenger yacht, Le Ponant, slips through the Atlantic swell. The peaks of volcanic islands slide up from the horizon; their leeward, rain-shadowed sides are stark and desert-dry, while the fertile Africa-facing flanks romp with greenery. I thank my travelling stars for this rare chance, to sail among the Cape Verde islands off West Africa. The island São Nicolau is our first port of call and my first hit of Cabo-Verdean culture: African faces, Portuguese patois; pastel-coloured villages, cobblestone market squares; Cassava and sugarcane. It could be a chunk of Brazil that’s broken off and drifted east across the ocean. The island’s interior plateau boasts a different kind of fertility. 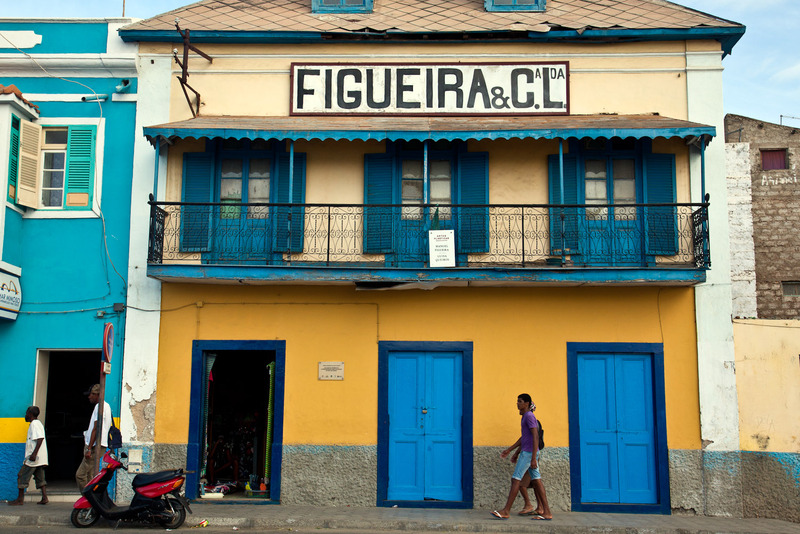 Known as the Intellectual Island because of its literary and musical heritage, São Nicolau was the incubator of Cape Verde’s vernacular music, morna. But before we morna we will mazurka. Queimadas village, tucked in a fertile mountain valley, wants the world to know that this is the true home of the mazurka, a dance considered elsewhere to be Polish. It might well have sailed away and adopted a Polish name, say the islanders, but the steps were born and bred here. A dozen creole teenagers in costume wait for us in front of Queimadas’s little chapel. They pair off and begin to step and swirl their way through the contested dance, which is traditionally performed in Poland to bagpipe accompaniment. The way the kids of Queimadas dance their mazurka – gracefully, with the giggles, in bare feet skipping over the cobbles, to tunes from a tape-deck – is surely more lovely, to my ears at least, for missing the skirl of windbag pipes, kilted or otherwise. The Republic of Cabo Verde, to give it its formal title, is five parts Portugal, 10 parts Africa with more than a dash of Brazil. 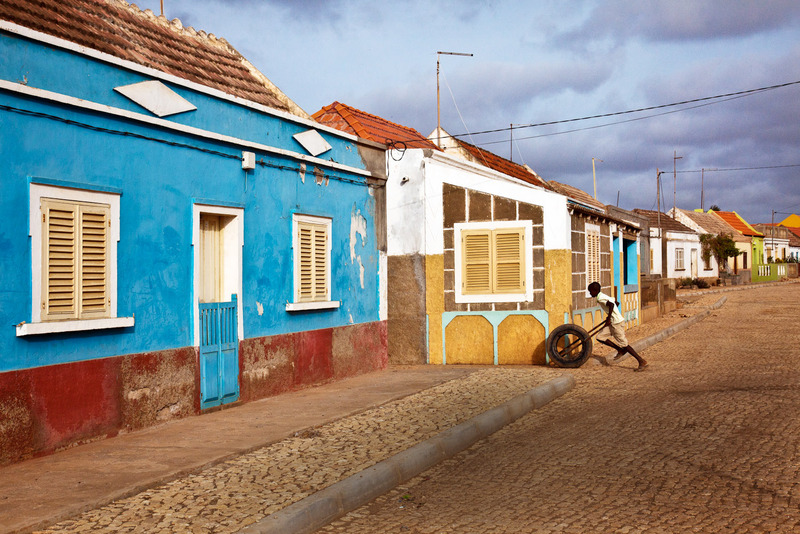 This tiny, 10-island archipelago – Lisbon’s colony until 1975 – sits around 670 kilometres off Senegal and is barely on the world tourist map. Only two islands, Sal and Boa Vista, have major resorts, principally hosting European visitors, while the others are low-key traditional destinations that attract mostly walkers, windsurfers, divers and anglers. It wasn’t always so. Extraordinarily, in its heyday the town of Ribeira Grande de Santiago (on Santiago, Cape Verde’s largest island) was the second richest city in Portugal’s vast empire. Established in 1462, this was Europe’s first permanent settlement anywhere in the tropics. Today the formerly roistering town has shrunk to a coastal village, albeit one that’s overlooked by a huge World Heritage-listed citadel, Forte Real de São Filipe. Ribeira Grande’s original river-bragging name, was downgraded long ago to plain Cidade Velha (Old Town), but I still find there a reminder of its former wealth, although not glory. It’s a grim iron post known as the Pelourinho (the Pillory) that has stood in the town’s seafront square for almost 500 years. Until the trade was abolished in 1876, thousands of slaves, principally from Guinea-Bissau and Sierra Leone, were sold in this market for transportation to the Americas. That piety and cruelty are familiar bedfellows is hardly news, but greater enlightenments await me in the town’s Gothic chapel of Nossa Senhora do Rosário – Our Lady of the Rosary. Built in 1495, this unsung chapel is in fact the world’s oldest colonial church. Moreover, two of Europe’s greatest navigators bent their knee on these heraldic flagstones when en route to shaping world history: Vasco da Gama prayed here in 1497 during his search for the first sea route to India, as did Christopher Columbus in 1498 when on his third voyage to the New World. Brava, just 24 kilometres long, is the smallest inhabited island and the southernmost of the Cape Verde group. After agriculture, its main industry appears to have been emigration. Throughout the 18th and 19th centuries Nantucket whaling ships called at these islands and many Brava men signed on as crew. Links to the seaports of New England have endured, with Brava now having some 7000 citizens at home but another 21,000 living around Massachusetts. In fact, there are as many Cabo Verdeans in New England as the whole population in their home archipelago – some half a million people. Our driver, Carlos, has returned after 25 years in Boston. “I liked it over there,” he says. “But not half as much as I like it here. Brava’s very peaceful, with a real low crime rate.” He drives us up to the island’s capital, Vila Nova Sintra, at a cool 500 metres altitude. 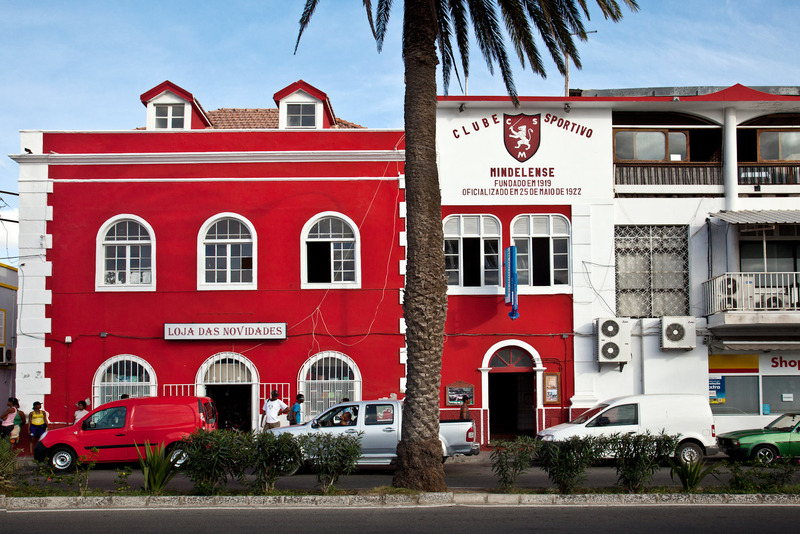 The town’s little museum celebrates poet and composer Eugenio Tavares (1867–1930) who helped transform local morna music into the art form that Cesária Évora (1941–2011), known as the ‘Barefoot Diva’ and ‘Queen of Morna’, then brought to the world. Morna sings the fate of generations of Cabo Verdeans – departure, too often without hope of return. At the museum a man sings us a bittersweet hymn of exile, with its heartfelt refrain, “saudade, saudade”. The good ship MY Le Ponant island-hops for a week, landing us for excursions to terraced villages and oasis valleys, Portuguese mansions and quayside eateries. A good, long tramp across the lava flanks of Pico do Fogo volcano on Fogo (Fire) Island gets us to a village restaurant where lunch is fresh tuna and hefty island wines. Music is never far away, nor a church facing a town square that often features the statue of a poet or writer. We dock at town piers or anchor in bays to then slip ashore in Zodiacs. In one case the skipper moors 50 metres out from the pier, before the local wharfies secure our lines and we head out for the day’s excursion on cliff-hanging roads to surf-thumped shores and ancient chapels. Reboarding at dusk we expect to get under way, but the wharfies have clocked-off for the day, leaving us hitched to shore, possibly until they turn up in the morning. Orders come from the bridge; a matelot strips to his togs and plunges overboard. Ashore, he slips our stern lines and swims back to much applause. Le Ponant proceeds on its journey. How to encapsulate this almost-forgotten archipelago where you can walk on European-built streets that were already old before Columbus sailed? 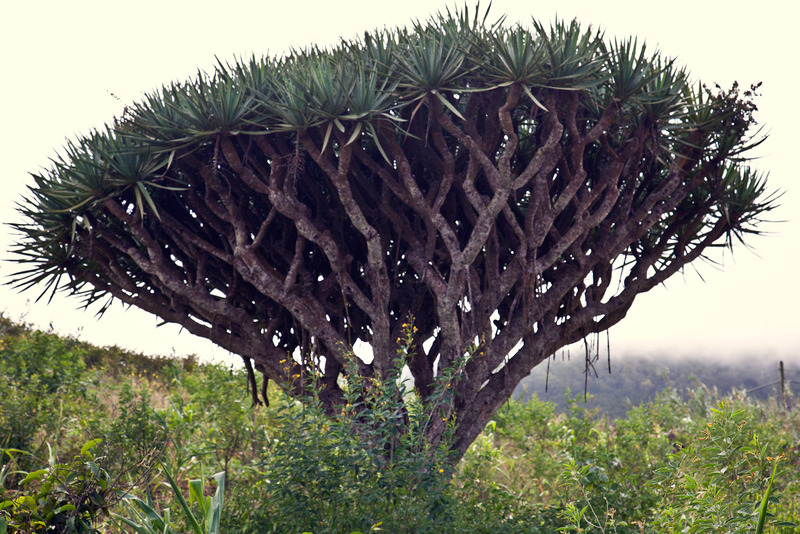 There’s Cape Verde’s prehistoric tree, the thicket-limbed Dragon tree that survives in few other places on Earth; it was here before the Portuguese settlers arrived in 1462 and it might well outlast us all. 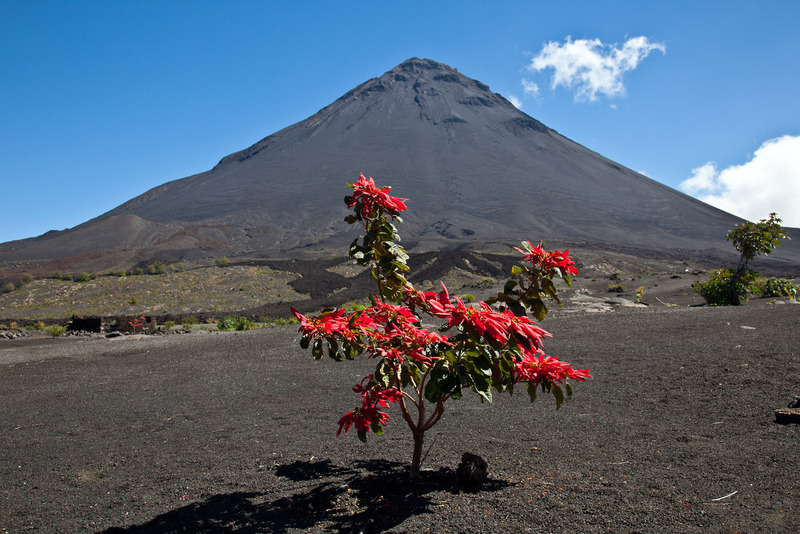 Or Fogo’s lava cone that stands stark against the tropic sky like a black Fuji? Or it might be just a moment, a brief frame (boosted, if you like, by a firewater tipple that the locals simply call grogue). The sight of afternoon Atlantic light playing on the cobbles and faces where creole Iberia and Africa meet probably says it all, or at least enough. This is a year-round destination with skies clearest between February and June. In Praia, Hotel Pestana Tropico and on Fogo Island, BB Colonial lodge. Le Ponant’s seven-night Cape Verde cruise is priced from $5760 per person, twin-share. Pico do Fogo volcano on Fogo Island offers a great crater hike. 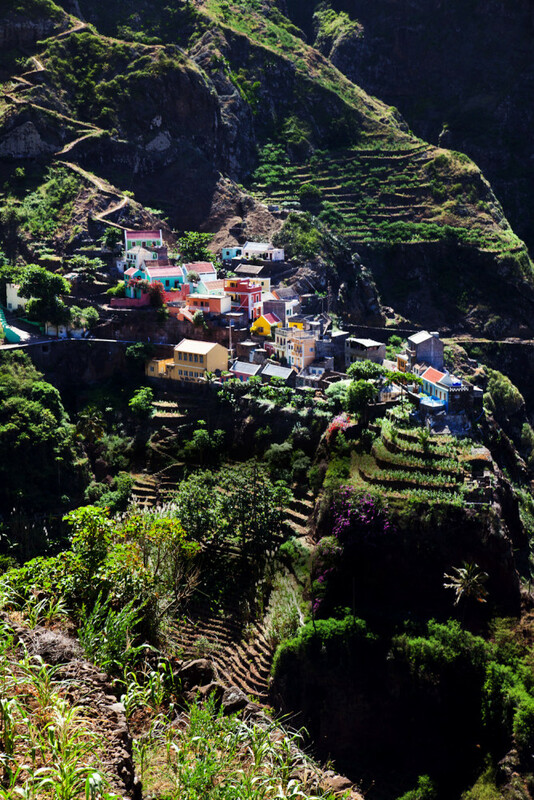 On Santo Antão, the terraced village of Fontainhas is an excellent destination through fertile landscapes. 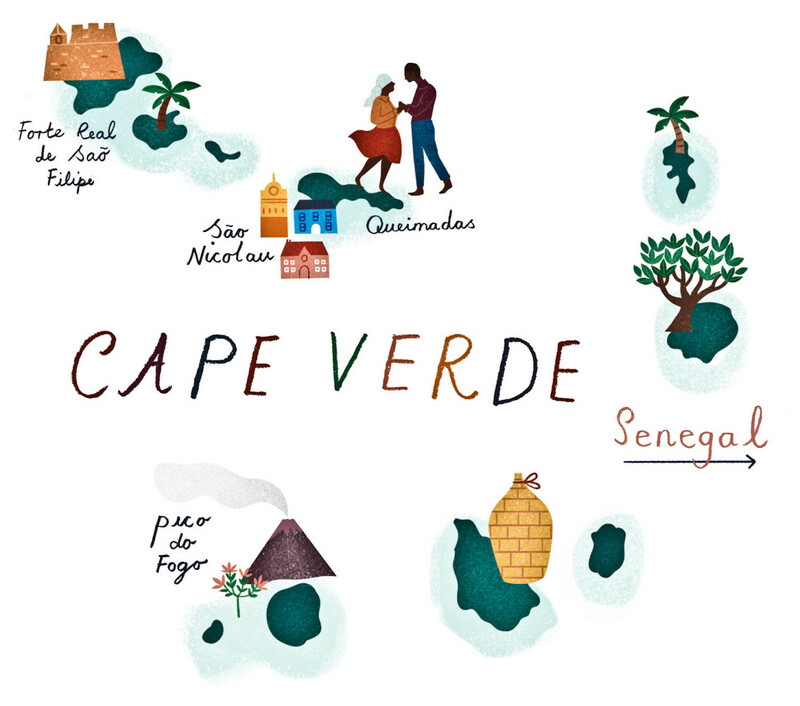 Cape Verde’s February fiesta features spectacular, Rio-style samba dance competitions, principally on Santiago, Vicente and Nicolau islands. The late Cesária Évora, the ‘Barefoot Diva’, carried Cabo-Verdean morna music far beyond these shores. Catch a performance where you can. Not far from Praia, on Santiago Island, are the World Heritage-listed Forte Real de São Filipe (constructed in 1590) and Our Lady of the Rosary chapel, the oldest colonial church in the world.